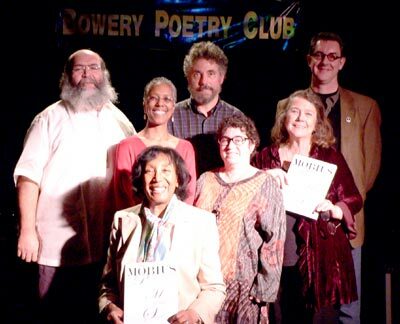 Poets: (front) Juanita Torrence-Thompson (Editor/Publisher), L-R: Dominick Arbolay, Denise Lewis Patrick, Hal Sirowitz, Rochelle Ratner, Daniela Gioseffi and Daniel Thomas Moran. Rochelle Ratner, and Daniela Gioseffi. 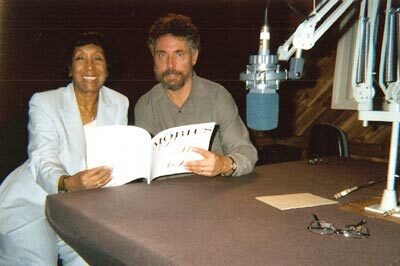 “Everything Goes” WNYE (91.5 FM), November 17, 2006. 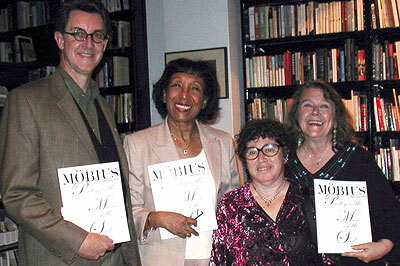 Repeated: November 23, 2006 — Möbius, The Poetry Magazine program with host Juanita Torrence-Thompson and guests: award-winning poets Daniela Gioseffi and Hal Sirowitz (former Poet Laureate of Queens). 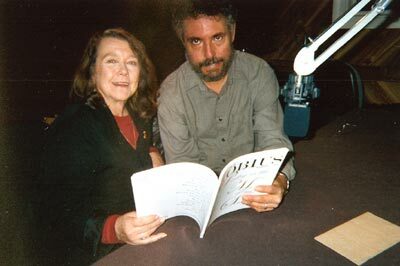 Daniela Gioseffi and Hal Sirowitz at WNYE - FM Radio.